What is your pricing sweet spot? This is a fast moving target presently. Prices are going up for a bunch of reasons so this is really important right now. Are you tracking your jobs to know your costs? Very few builders are, but, I will let you in on a secret. Profitable builders track everything. You need a snapshot of the current costs to decide what profit margin you need. For builders booking out 3 months to a year you need to forecast where your costs are going. You should be estimating what material and labor increases are likely, and factor that into your prices for the coming year. Right now in Canada and the US, the price of everything from nails to tools and building products are poised to jump up to 50% in the coming year. If you don’t factor that into what you are charging you may have issues later. If you are booking 6 months to a year in advance you could be burning 10-20% of your profit before even starting. Some builders will sell at a lower number and hit the customer with price increases as it happens. Do you really want to be asking your customer for more money on a weekly basis? This could poison the relationship and lead to a world of grief as you wrap the job. I prefer to sell well and carry enough margin to cover expected increases while maintaining expected margins. Let the customer know every time you see an increase. Remind them that you have handled those increases for them. Thusly, increasing their perceived value of your service. I can tell you from experience that profit of 300% is possible, but maybe that is unwise. At 300% over market value, you can optimistically sell 10-20% of qualified leads. You will have to qualify more heavily, so you are looking at 1 in 20 calls qualifying. Selling at 100-200% margin means if you are a good salesman, 40-70% of qualified leads. 1 in 10 leads will qualify. Bidding at a 50% margin you may sell 90% of qualified leads and 8 in 10 leads will qualify. As you can see, in order to sell at ultra high margins you will need about 100x the leads that selling at lower margins will require. Leads cost money, and time to work them, which affects profit. When only 1 in 100 phone calls qualify, and only the very wealthy can afford to buy your product, word of mouth marketing may not work. People for which money is not a concern don’t likely have a long list of friends in the same financial situation to refer you to. If your prices are more affordable, you get more referrals. As your profit margins increase… referral numbers will drop steadily. In my case, I have steady sources of leads with healthy conversion rates, so I can keep prices strong. When you connect with and qualify 100 people and only work for 2, those 98 other people may harbor a grudge. Let’s face it, marketing is public these days, and, much of it is based on reputation. Social media is the new “Word of Mouth”. Somebody posting that Joe’s Decks is the best company to deal with–their prices are fair and their work is excellent is going to translate into numerous sales. This is what we all strive for. This company is going to get numerous good reviews on Google since people want to share their good experience. Furthermore, when people have friends over to see what you built, and they say, “HOW MUCH?”, buyers remorse may set in. Bye Bye future referrals from that customer! You can’t control what people say online, but, your pricing will say something about your company. You might not be well served by the unpopularity that charging as much as possible could bring. Being the cheapest is not good– but charging enough to stay in business and prosper is a necessity. Think of pricing as a cliff– get as close to the edge as possible, but don’t go over. If you are charging, let’s say double what your closest competitor does, how do you think your competitor will sell against you? Do you think what you charge is a secret? Your close competitors will be able to keep their margins healthy while selling against you more successfully. Personally, I don’t try to keep it a secret. I actually have articles about our pricing on our website. For the good of the industry, I want to help keep prices healthy, so sharing ballparks with my competitors is a habit. Most builders don’t want to think about what other builders tell potential customers about our company, but it should be a consideration. The building trades have the least professionalism of any business. Now, I am not saying that we are not professionals. Professionalism is highest among Lawyers and Doctors where it is driven into them in school that you should ” Elevate your Profession” by never speaking about others within your profession in a negative way because… It is bad for the profession. 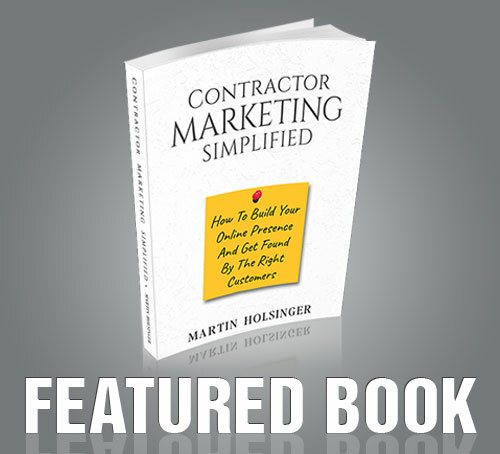 Contractors tear each other up–which hurts the entire trade. All Trades. If you are charging double what another builder does, you can be sure that the other builder will make derogatory remarks about your company. This also forms a picture in your potential customer’s mind before you even present. This negativity feeds on itself, and it is bad for business but it is a fact of life. Expect your competitors to wallow in the mud, but don’t stoop to their level. Stay professional! We all strive for that sweet spot, where some of your marketing is done for free by referral. The price at which our builders have steady good paying work and stick around forever. Good people are hard to find and we all want stability. Let’s face it, if we could have found a good employer that paid well and could supply steady work, would we have ever started our own company? If you are not charging enough, you can’t afford to pay your builders enough to keep them. If you are charging too much, you have gaps in your work schedule from time to time. Finding your pricing sweet spot is essential to a long lasting and profitable company. We all know that there are companies in business that don’t charge enough to be in business. These companies are likely to take good jobs away from us. The frustration is that we know that we would be the best company to do that job. The client expects high-end work, but they want the lowest price because they don’t realize that all building trades are not created equal. A deck is a deck…drywall is drywall, plumbing is plumbing. If you know that a customer is looking for the low bid, and you tried to explain why that is risky, but they don’t believe you… Why not pair them up with the 3 cheapest companies in business locally? I keep a sheet with those 3 names on it, and give that out to “Price is Prime Concern” leads. Firstly, you are being of service to the potential client. You know they are not your customer– maybe next time, but not this time. You may not be the right fit for them this time, but you are trying to help them get what they want. Secondly, you know this person is going to go with a low bid. Why not set them up with the lowest bid in the area? The busier that contractor is, not being profitable, the sooner they are booked up and the sooner they are out of business. Thirdly, if you help them get booked up, the less likely they will be competing with you for work later in the season. You want them to be too busy to book anything more this year. Too busy to answer their phone. Too busy to be selling against you. You are giving them leads that are not your customers–but they are their customers! Finally, the act of brushing off a customer may just drive the point home. It makes you look exclusive. “You can’t afford my service”. About half the time they will ask you straight. Why are you brushing me off? What you say next can cement their comprehension. What I say goes a little like this.